Sidelined in tech, forgotten by product developers, overlooked in clinical trials. To address society’s biggest problems — for all of society — it’s time we include more women. After all, what would the world be without them? Last year, journalist Leah Fessler conducted an experiment on the big tech companies’ “feminized” digital assistants—Apple’s Siri, Amazon’s Alexa, Microsoft’s Cortana and Google Home. Her goal was to determine how these artificial intelligence-driven personalities would respond to sexually crude comments. The Quartz writer documented that instead of calling out the verbal abuse, the assistants adopted a subservient tone, and in one case, the assistant actually flirted with its human tormentor. The verdict across social media was swift: the bots’ responses reflected a probable lack of women on the software teams that created them. Silicon Valley is being hammered for failing to get a handle on its homogeneous culture. Four years after the giant tech companies started publishing their workforce diversity stats, the annual data dump has become a regular reminder of the glacial pace of change. Still, only about 20 per cent of tech jobs are held by women. Meanwhile, as the #MeToo and Time’s Up movements have gathered steam, countless stories have emerged from the Valley of pervasive sexual harassment at tech companies and venture capital firms. But Canada can’t afford to be too smug; our track record is not much better. TD Economics reported last fall that women account for just one in five engineering graduates from Canadian universities, a figure that has not changed in 10 years. For computer science and math, the figure is one in four, an actual decline from a decade earlier. In 2016, men held 70 per cent of the 1,612 Canada Research Chair posts at universities across the country. Why does this lack of young women studying sciences matter? Why does the tech world need diversity? 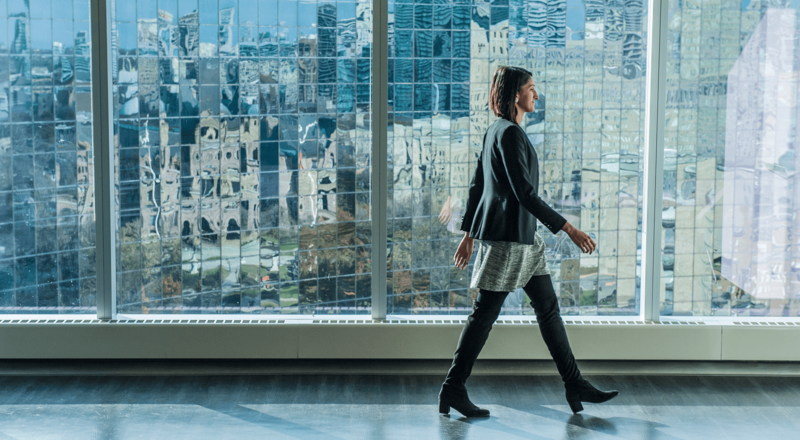 Besides the moral argument for gender equality, the simple answer according to Kathryn Hume, vice-president of product and strategy for integrate.ai in Toronto, is that “a diverse workforce helps expand engineers’ perspectives.” Diverse teams are more likely to understand the full impact of what they’re doing and raise questions that would otherwise go unasked. And the questions are many. The implications of a world lacking women in science and technology have already become apparent in healthcare. Zayna Khayat, future strategist at St. Elizabeth Health Care, points out that women of child-bearing age have been historically underrepresented in drug clinical trials, which are usually conducted on Caucasian men. “The reality is, women respond to drugs differently because of their biology, well beyond hormones,” she says. As a result, women have suffered disproportionately from side-effects from medications. In other cases, women are simply forgotten. In 2014, Apple released HealthKit, which gathers medical data such as heart rate, exercise, sleep and body weight from personal apps and devices. The original version did not track the menstrual cycle, which makes it very difficult to evaluate a woman’s well-being properly. This feature has since been added. Such mistakes are usually not intentional, says Hume, whose company envisions “a future in which AI enriches people’s lives while creating better, more valuable businesses.” Such biases creep into technologies because the people creating them aren’t aware of all the variables they need to consider, including factors related to gender. Hume often talks to tech teams at large organizations about the ethics and fairness issues connected to machine-learning algorithms, and says programmers sometimes don’t realize how bias can sneak into their work. “They’re like, ‘Oh, god, I didn’t even think about that,’” she says. As the world faces an array of urgent issues—from climate change and the ever-growing needs of the elderly to the wave of disruption that technological advancement is bringing to the workforce—it’s more vital than ever to bring the best talent and broadest range of perspectives to bear. “We can’t afford to have women on the sidelines,” says Ilse Treurnicht, the Oxford-educated research chemist and venture capitalist who spent 12 years as chief executive officer of MaRS Discovery District in Toronto.